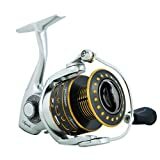 Without a doubt the most popular selling spinning reels are those that cost less than a hundred bucks. It’s a sweet spot where weekend guys like you and me can afford to get a few rod and reel combos and still have a few bucks to buy a couple crankbaits and some packs of worms. At this price range though, we do have to look out for the junk reels masquerading as the good. We have a good deal of experience with spinning reels, so we are confident in pointing you towards the best spinning reel under $100. So read on and pick one that looks best with your rod and fits well with how you like to fish. Abu Garcia Revo X – Editor’s Choice, the new budget model in the popular Revo series. Pflueger President XT – The longtime most popular spinning reel in the price range. 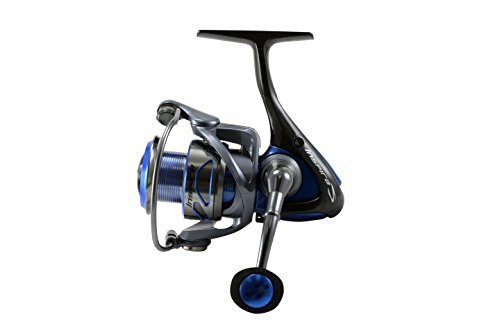 Pflueger Supreme – Lightweight magnesium frame, aluminum spool and handle. 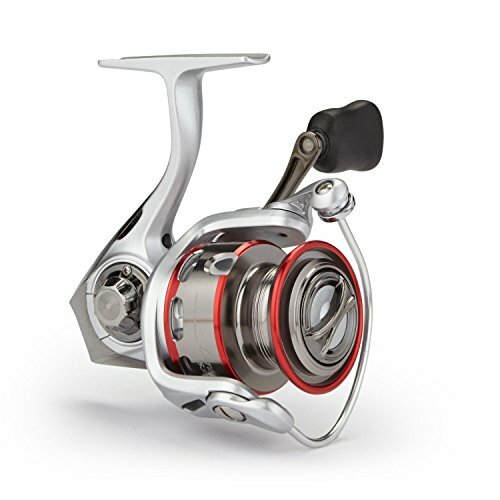 Daiwa RG-AB – Includes top Daiwa features like Air Rotor, Digigear, and 10 bearings. Okuma Inspira – Smooth, balanced spinning reel for fresh or saltwater use. 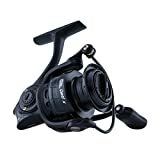 Reel Weight – The total reel weight starts to creep up in this class of spinning reels as manufacturers use less costly materials that are not as highly optimized for weight. 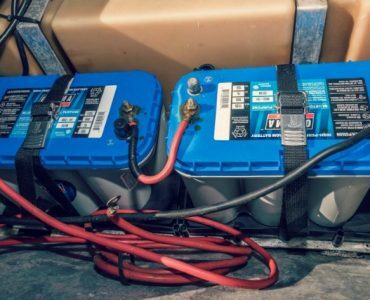 Heavier reels are not a bad thing in itself, but just keep an eye out on those ounces because long days of use can take its toll on your wrists. 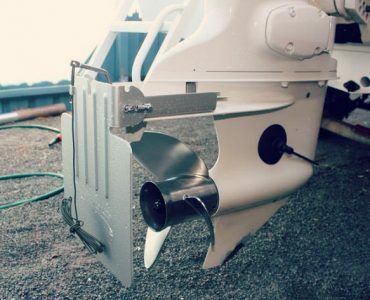 More Plastic Components – Reel manufacturers will swap metal parts for plastic ones to save costs. Plastic isn’t necessarily bad, but does wear faster and has a less solid, refined feel you get from metal components. No Spare Spools – Usually reels under $100 only come with one spool, unlike the higher priced reels that have a standard spool plus a spare braid ready spool. The good thing is the standard spools at $100 are braid ready, which is important, especially if you use your spinning reels for bass fishing. Unsealed Drags and Bearings – To save on some cost, the drag stacks are usually not sealed on the cheaper reels. That doesn’t usually come into play unless you fish the bank or on a beach a lot where sand and dirt can sneak its way into the components and muck up the smoothness. *All specifications come from the mid-sized reel in their respective families for even comparisons. Editor’s Choice: In the Revo X, Abu Garcia has finally released a Revo model that most anglers can afford. 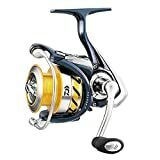 Having used several Revo spinning reels in the past, like the awesome Revo SX, I have a lot of confidence in recommending the X at this price point. The first thing you’ll notice is the sleek, all black finish, reminiscent of a stealth aircraft. Even more stealth is all the high end Revo features they built in. For starters, there is the C6 carbon body and insert molded X-Craftic gearbox. The handle is also graphite, with a machined spool that makes using braid easy to tie on. The 30 weighs just 8.3 ounces, and the 40 comes in at 9.1oz, putting them on equal footing with reels costing twice as much. You’ll get more nice fishing features, like the Rocket Line Management System, stainless steel bearings, and the hollow Everlast bail. The Rocket system improves the castablilty of all line types and lays the line down evenly with a Slow Oscillation. The Revo X provides a lot of bang for the buck. Most Popular: The Pflueger President XT, has been perhaps the most popular spinning reel under $100 for many years. It’s hard to find anyone with a negative comment about the President XT reels. There are literally hundreds of positive reviews online for these reels. 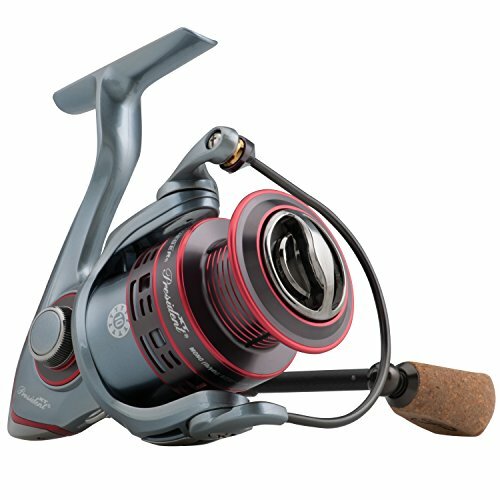 The President XT is a lightweight reel for this class (7.6oz and 9.1oz for the most popular sizes). It’s an around solid performing reel, making it one of the best spinning reel values around. Choose from 5 sizes of reels to match your preferred species. They have a size fit for almost anything, from ultralight trout fishing, to bass and walleye, and up to carp and steelhead. The Pflueger President XT is known as a durable reel that can take some abuse and retain its smooth casting and reeling performance. It boasts an all graphite body construction, stainless steel components and a new lighter aluminum main shaft. Like the Revo reels it comes stock with a machined anodized aluminum spool that is braid ready. The reels also have on/off anti-reverse, a sure clicking aluminum bail, and an impressive 10 stainless steel ball bearings. Whisper Light Magnesium Body: The Supreme is the only magnesium frame spinning reel in this price range. It’s a bit shocking that Pflueger can offer an affordable reel of this type. The size 40 is a full 0.5oz lighter than the President XT 40. 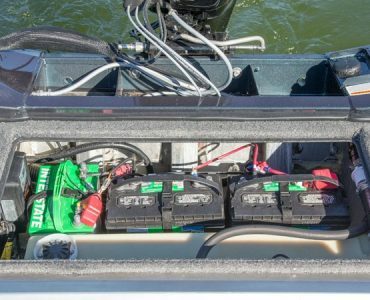 That may not sound like much, but it adds up over the course of long days on the water. Besides the body material, the other big upgrade is to the drag system. You’ll get an oil and felt stainless steel drag stack with a carbon inlay, versus the basic sealed drag on the President. The line capacity is equal to the Presidents and has just a slightly less retrieve rate. The Supreme is a smooth, durable reel, and every bit as reliable as the Pflueger name is known for. 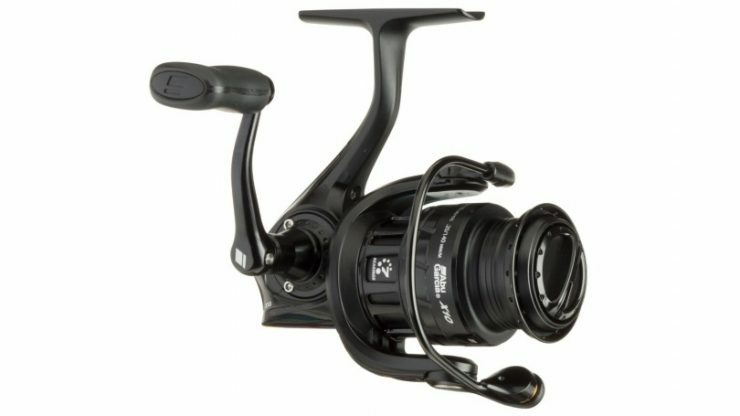 Best Value in the Price Range: The Daiwa RG-AB is one of those reels that don’t get a lot of press but are sneaky good. While a little on the heavier side, the RG-AB is smooth, balanced, and sturdy making them a nice choice for anything from crappie to bass and pike. They look sharp too, I like the two-tone body with gold spool. Even though priced as a budget reel for the average weekend angler, they are loaded with some nice Daiwa technology. For starters, the reel has the Air Rotor design, hollow stainless Air Bail, anodized aluminum ABS spool, and Digigear gearing. That’s a lot of value packed into a reel priced well under $100. 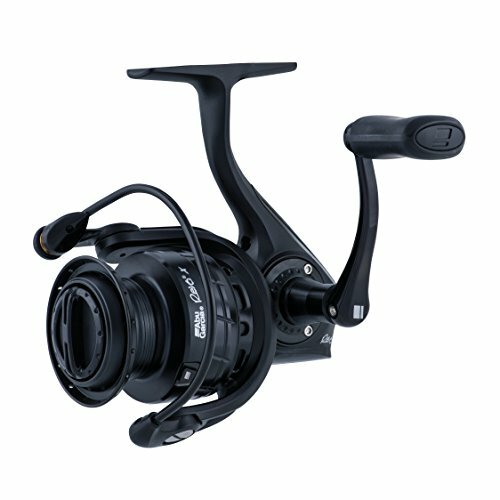 Best Fresh/Saltwater Combination: The Okuma Inspire is a quality little dual purpose fresh or saltwater spinning reel. The size 30 is great for all purpose freshwater fishing but pick up the ISX- 40R for its larger capacity for inshore. There is also a small 20 sized reel if you want to pair it with a light action panfish rod. The Inspire has a nice construction to it, with a carbon frame, carbon side plates, and aluminum handle and spool. A couple performance features stand out to me, like the Centrifugal Disc Bail that uses a precision weighted disc to balance the rotor and bail for a no wobble retrieve. Then there is a the progressive carbon fiber drag system that helps set a more even drag adjustment. 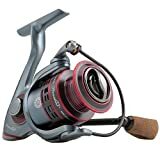 If you’re looking for a reliable spinning reel, but really can’t shell out $150+ for a premium model, then the Abu Garcia Orra2 S should be one of the first you look at. Not only is an awesome spinning reel, but they are priced perfectly. The Orra is built on 6 HPCR ball bearings (High Performance Corrosion Resistant), and a unique insert molded frame design called IM-C6. Basically they insert the X-Craftic alloy gear box into a mold and form the C6 carbon frame around it, resulting in a seamless body with tightly tolerance alignment and a low overall weight. One minor point of contention on the Orra2 S is the handle design. It screws into the body and doesn’t feel as “tight” as a Revo S or Revo SX would. For casting, the Orra2 S incorporates a design called “Rocket line management” and “Rocket spool lip design”, both with the intent of controlling and managing all types of line efficiently. The Orra S also has the hybrid Carbon Matrix drag system that is on all of Abu Garcia’s spinning reels, so you know it’s going to be smooth and strong, yet give when you need it to. We recommend the S230 sized reel for most applications, spooled with 8lb flourocarbon or 15 lb braided line for best results. You can use that setup for shaky heads, drop shot rigs, and soft jerkbaits. The only reel on this list I have experience with is the President. I disagree with the review here in regards to rigidity or toughness and that’s what I’m having such a hard time finding in a spinning reel. I fish smallmouths in rivers where 15-40 fish days aren’t uncommon. After just a few 3 plus pounders get out into the current and turn sideways it puts a tremendous amount of pressure on the reel and mine just didn’t hold up. It still functions but after only about 20 fish the gears feel rough on the retrieve and the oscillator is wobbling. If you’re lake fishing largemouths or walleyes it may hold up fine but the river bass are a different story. They exposed the reel’s rigidity issues in short order. I know what you mean about river fish. You may want to consider moving up a size when you buy spinning reels, the bigger body should handle the pressure better. Move up from the typical 2500 size to the 3000. For the Pflueger that would be either 6930X or 6935X. A longer rod would help too. Been bass fishing all my life and near 30 years of it competitively. 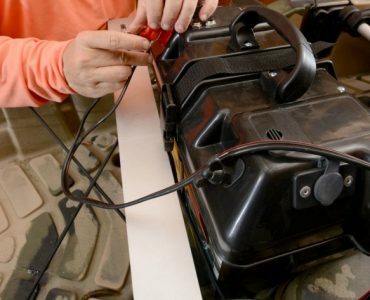 Most folks can always find a flaw with any rod or reel, but most of these reported flaws are lack of understanding of how to use a product properly or that the product is not being used for its intended use. These are not the days of your old zebco 22 or 33 which were never designed to last at their price point. If an angler wants quality that will last expect to spend your money appropriately. Do not expect ANY REEL under $100 to last more than a season or so with use such as has been described. With the exception of one well known brand that for “some reason” testers refrain from testing/reporting on ANY of their products (because they sell absolute junk), most all the top manufacturers have products in a wide range of price points. The price points should compare accordingly to the expected use/product longevity. I wish all manufacturers would actually list expected life of a reel based on use, type of fishing, salt, fresh water etc… Not everyone has 45 years experience to know these things!